Sudanese security forces fired tear gas to disperse hundreds of demonstrators in Kassala, capital of the remote eastern state of the same name, eyewitnesses said, in the first protests the city had seen since unrest began in Khartoum nearly a month ago. The protest erupted in the city’s largest market, eyewitnesses said, and vendors scrambled to shut their stalls to get out of the way. Kassala was put under a state of emergency last year as authorities tried to stem smuggling on the eastern border. Near-daily demonstrations triggered by a worsening economic crisis have spread across Sudan since Dec. 19, the most prolonged challenge to Bashir’s rule since he took power in a coup in 1989. Officials say 24 people have been killed. On Monday, Bashir insisted he would not step down, saying Sudan’s economic problems would not be solved by “vandalism”. 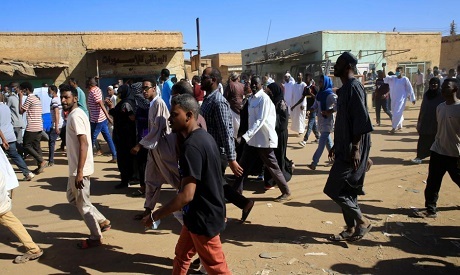 The Sudanese Professionals Association (SPA), a group of trade unionists who have been leading the protests, called for demonstrations to be held in 12 cities on Thursday.